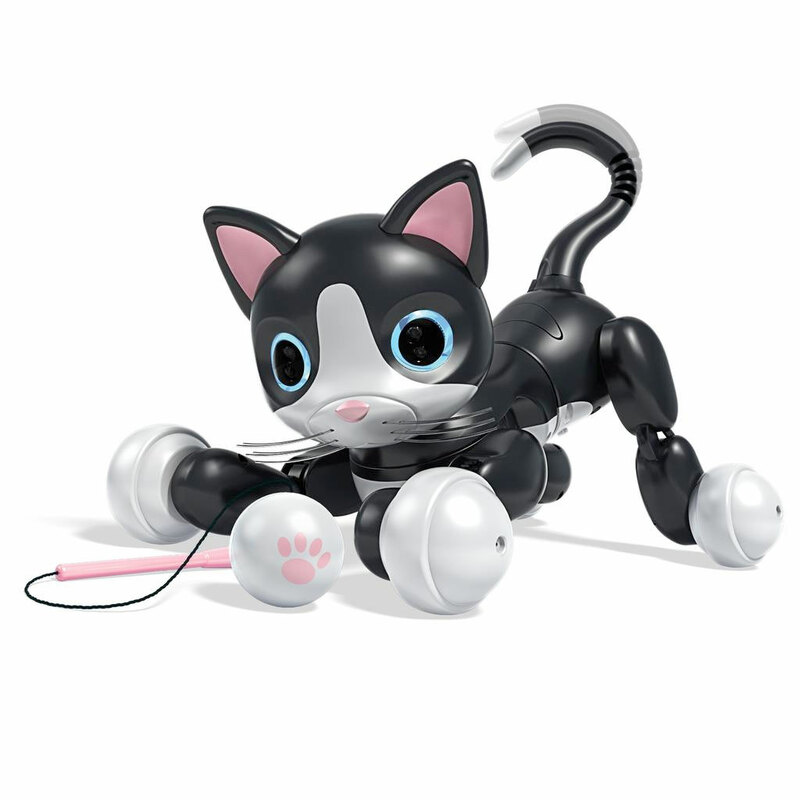 Bring home your PURRfect friend with Zoomer Kitty! She’s the sweetest interactive Kitty who loves to play, pounce and purr! Using True Vision Technology, she follows your movements. As you play, her eyes will change color letting you know exactly how she’s feeling. Zoomer Kitty has touch sensors in her head, ears, and cheeks and she loves when you pet her. She’ll nuzzle in, and even respond with affectionate purrs that you can actually feel! After you’ve discovered Kitty’s softer side in Cuddle Mode, get ready for some fun in Play Mode. Kitty sings, dances, and performs secret tricks! You can tease her with her interactive Kitty Toy and watch her go cap-nip crazy, following it as you play! But don’t forget to give her attention or Kitty will wander off and go on her own adventures. Zoomer Kitty is curious, cuddly and loves to perform tricks. 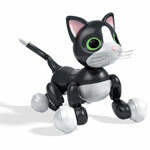 Adopt the kitty that’s full of life with Zoomer Kitty, your PURRfect friend! Zoomer Kitty is the PURRfect friend! She’s the sweetest interactive kitty who loves to play, pounce and purr! Zoomer Kitty has touch sensors in her head, ears and cheeks and will nuzzle in when you’re petting her. Pet her gently and you’ll feel her really purr! Discover Cuddle Mode, Pounce Mode and more! She sings, dances, performs secret tricks and loves to play with and follow her interactive Kitty Toy! 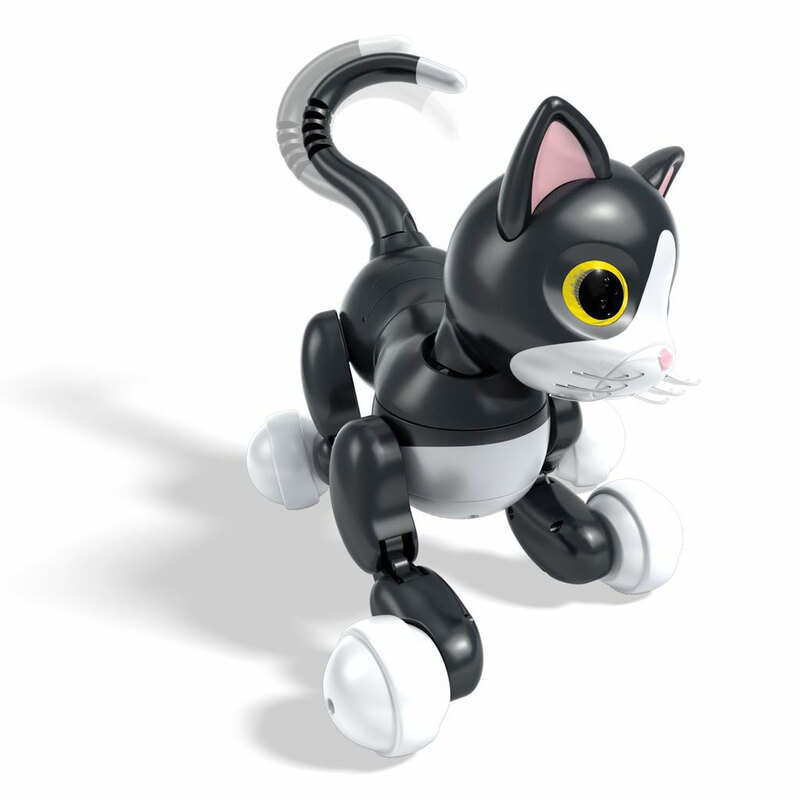 Zoomer Kitty is made for kids 5+ and charges via USB. USB cable included. Wall charger sold separately.